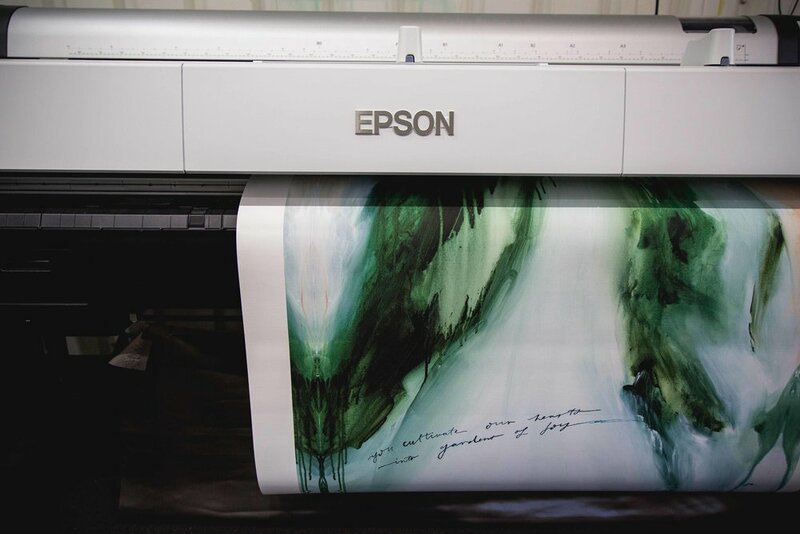 Left Bank Gallery is a Canson Certified Printer and has been printing artwork and photography for over 8 years on Epson 9900 & 20070 fine art (aka Giclée) printers. Using professionally created, custom ICC profiles and a colour-correct Eizo monitor, we can produce accurate, exhibition-grade prints of your work. We stock a range of archival papers to suit your need and budget, from basic smooth matte paper to a handful of beautiful 100% cotton rags from respected manufacturers Canson and Hahnemuhle. Please contact us if you'd like to order a sample pack. Through our personalised service, we work closely with artists, photographers and creatives (of all different styles and skill levels), from amateur to professional, to discuss the best outcome for your prints. Please feel free to contact us today to discuss fine art printing, inquire about pricing or book a consultation time. Contact us to discuss fine art printing. Complete the form below and Julia, our art printing specialist will respond ASAP. Whether it's a simple question about pricing, something technical, or just want to know how to pronounce 'giclée', we're here to help.